What is Conservatism vs. Capitalism? (1) Conservatism is God based while capitalism is human based. This is a core principle, and one where I respectfully disagree with blog posts such as "What Americans Mean When They Say They're Conservative. In this blog he makes points to define a conservative and states; "A belief that it is imperative to preserve traditional morality, as it is articulated in the Bible, using cultural norms and the power of the state." I agree with this first quoted statement, however he goes on to say: "An embrace of free-market capitalism, and a belief in the legitimacy of market outcomes." AND "Non-interventionism in foreign policy"
(2) Neither conservatism nor capitalism is exclusive to a particular political party. You can be a capitalist in either party, the same with conservative, although I think you will see more true conservatives in the Republican party. (3) Capitalism seeks profit via any angle possible, even if others are hurt in the process, while conservatism seeks profit by helping others help themselves. The capitalist will also beg for government bail outs, all the while failing to recognize what brought them to this point, again hurting others in the process (such as tax payers). The conservative will often get the help needed in tough times by others as long as they are in an honest God fearing society (which is unfortunately rare today, even among so called Christians). As this applies to government, the true conservative does not seek government bail outs or higher taxes, rather adjusting spending, etc. Socialism is worse yet, it seeks gain by making others dependent on the giver, although the while the giver pats himself/herself on the back for being a "good person"
(4) A conservative will generally get the most out of his/her employees by treating them as humans and with respect, while a pure capitalist will take advantage, use , and then often discard employees. (5) A True conservative IS compassionate and does not need to use terms such as "compassionate conservatism", while the capitalist has to use these terms to justify actions. Unfortunately some Evangelical Christians do not seem get this, which is one of the reasons someone of Obama's charisma was elected (good or bad), as he filled the vacuum left by a few Evangelicals who have become capitalist thugs making others (such as myself) feel like losers because our life’s failures. (6) A conservative follows the principles of the Good Samaritan while a Capitalist walks across the street. This is where many “Ron Paul Libertarian Pseudo Conservatives” miss the boat in my view. Thinking what goes on in Europe, the Middle East, etc. is none of our business is not only extremely naïve as the events of 9/11 or WW2 prove, but even if this were true, it certainly does not follow the teaching of the good Samaritan found in Luke 10. On a more personal note, this "Ron Paul" Libertarian viewpoint came close to destroying my family when persons that held this viewpoint of "looking the other way" while my family was destroyed by a predator that took advantage of my wife during a very dark time for my family (my son was very sick and my wide suffered severe postpartum depression). My thoughts are SHAME on those who hold this non conservative viewpoint and then claim to be a conservative!!!! (7) Being a Capitalist, a Republican, a Christian does Not make you a conservative. Despite what many may think about China, I have many business dealings with China and while they might be considered a communist nation, in reality China is run as a pure capitalist nation (in the purest since of capitalism! ), however what China is not is a Conservative nation. The bottom line is China is a good example of how you can have a capitalist system apart from conservatism and why so many persons that often confuse conservatism with capitalism when nothing is further from the truth. (8) Being a true conservative is NOTHING to be ashamed of, despite labels placed upon them by mis-informed liberals, or the media. (9) A true conservative is conservative first, a Republican (or other party) a distant second and will pull the handle for the candidate that will uphold their beliefs in conservative integrity, whether it be a Democrat or a third party candidate. 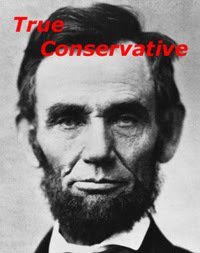 (10) A true conservative is not condescending or arrogant. A Conservative will find out the facts first then judge later. Such is why politicians such as our local Congressman Greg Waldenor past State Representative Gordon Anderson whom have made flippant condescending remarks when asked for help are not true conservatives. 3 Do nothing out of selfish ambition or vain conceit, but in humility consider others better than yourselves. 4 Each of you should look not only to your own interests, but also to the interests of others. Again this is an area many RINO Republicans (such as the before mentioned Greg Walden or Gordon Anderson) show themselves to not be true conservatives despite being labeled as such! (12) A true conservative does not participate in rumors (similar to #10), whether spreading, starting or even looking the other way. Truth MUST be found first before any honest judgments can be made. This can be on an individual level, a government entity (such as DHS/DCS), a supervisor at a job (that is not interested in truth about a falsely accused employee), a Judge, a Politician, the media, a Law Enforcement Officer, or anyone else with the ability to exercise discernment. (13) A True Conservative takes full personal responsibility for their actions/situation. Even when one's situation is beyond one's control, one's actions generally are not. This does not mean we will not make mistake, oh to the contrary, the difference is taking responsibility for these mistake. This also means to do all you can to remedy the situation you are in, as well filing frivolous law suites certainly is not taking responsibility. See also later in this article; Proverbs 10:5, to which one could apply this verse to this point of a being a true conservative. Taking responsibility for ones own actions and situation is something the disgusting "Occupy Movement" has no concept of. (14) A True Conservative is not a Narcissist, this is related to showing humility and taking responsibility. A good example of a Capitalist that is NOT a conservative is Steve Jobs based on his narcissistic views as well as his lack of taking responsibility and lack of humility (it was always about Apple when he was copied, but never a problem when he "borrowed" from others, as well as his failure to take responsibility of a child he fathered, leaving this child and mother in near poverty while he made his billions). I know many conservatives such as Rush Limbaugh (whom I otherwise respect) love to point out his business accomplishments (of which he has MANY); as human being he is NO ONE I WOULD EVER ASPIRE to be like OR desire his success if i ran my business like him. (15) A true conservative recognizes the importance of respecting an honest and just government and its place in protecting its citizens. However a true Conservative recognizes that Government too can steal, promote injustice, etc (such as what I have seen with the Oregon DHS). As well, a true conservative does not turn a blind eye to such injustices committed by the State including Law Enforcement, which unfortunately I have seen many conservatives (even Sean Hannity in his blind support for law enforcement and whom I have great respect for otherwise, just because they feel a robotic need to respect these agencies. The facts are wrong is wrong whether comes from pet agencies that are the "favorites" of the left or the right!!!! This also applies to popular Politicians or their supporters, and this does not necessarily mean that a Politician that has committed a "wrong" is necessarily a bad person, but this applies to blind support for a Politicians bad behavior. This is no better looking away from a child that is misbehaving, in other words we can still support our government, officials, police, agencies, etc. but we MUST call them into account when they are wrong and those that do not are most clearly NOT True Conservatives!. I observed this type of support first hand with the Oregon DHS and with blind support of our previous local state representative (Gordon Anderson) after he made the ludicrous statement that "17 year old employees should only have jobs at places such as McDonald's, not in middle management" (this after being confronted about a law that was holding back the advancement of a very highly qualified high school graduate that happened to be 17 at the time). "The civil magistrate must always remember his place under the sovereignty of God"
(15) Although many will define a conservative in a strict dictionary since such that they put “so-called” conservatives in a box by stating conservative only strive to preserve the past; while on the surface this may fit a tidy dictionary version of a conservative, but is 180 degrees wrong as to what a true conservative is as a true conservative would not embrace such past “traditions” as slavery which runs counter to the God given right of freedom. This is a common practice of the mainstream media and liberals. The bottom line is a true conservative only embraces the past or tradition if they are based in how God views us, not 100s of years of human based traditions or customs. God sees us as all equal, created in His image, not to be taken advantage of by dishonest bosses/employers, government agencies, treated as less than equal, etc. Whether are corporate CEO, an entry level worker, a politician, a teacher, etc; no one is above correction and those that feel they are certainly are not a conservative. *Some examples are a conservatively run business will treat other businesses with respect and employees with respect, all the while growing their business by example. While the capitalist will squash other businesses and "throw bones" to employees to make themselves feel good all the while blaming most problems on the employees and running their business from the bottom up rather than the conservative way of the top down. *Google is an example of a capitalist business that donates to many liberal causes all the while smothering small businesses with their immoral actions, often out of site of the "see no evil hear no evil" media. *Many who lump the definition of conservative to a rigid dictionary definition will state that conservatives want to back to the days of clear cutting forests, destroying bison or other over the top methods of “taming our land, environment” regardless of consequences. This is not a conservative as a conservative should be a steward of his/her environment/land, this means utilizing the land we are placed on, not abused. Sadly ANWAR (Alaska National Wildlife Reserve) is a good example of the pendulum swing the other direction where we are also not stewards by locking up safely usable resources. Slavery is another issue many will box conservatives into (forgetting what Abraham Lincoln stood for); although the Bible generally only addresses the custom of slavery, a clear reading of the ENTIRE Bible shows it is certainly not God’s plan. *Here in my current home town, I unfortunately see this contrast all too often with many businesses and civic leaders patting themselves on the back for giving a dollar to someone in front of Wal-Mart or donating money to build a park (which is fine on the surface), all the while treating those that would lift themselves up via hard work like cr##. Examples is the Oregon Food Stamps program that discriminates against the self employed with sarcastic employees. As well as arrogant Politicians such as Greg Walden. Also included are many prominent person and business owners that will critique me for recycling (telling me I am a loser, making up lies and worse) for trying to better my family which includes an autistic son and a daughter that was harmed by an evil presence that forced our family to move here in the first place. This includes employees/managers at Ray's Food Place, Safeway and U-Save Market. Since one tenant of a true conservative is personal responsibility, comments such as by a manager at Safeway that "they are responsible" if some gets hurt collecting cans is bogus, as we are responsible for our own actions and collecting cans to supplement one's income is taking responsibility for one's self, but blaming Safeway or anyone else for getting cut on a bottle, can, etc. negates any personal responsibility. So my point is such comments should once more be judged on an individual basis and making such statements (such as this Safeway manager) flies in the face of point #10. Hopefully some RHINO Republicans will read this and finally get the message, as the misunderstanding of what a conservative TRULY IS spans both Democrat AND Republican! Otherwise history is destined to repeat itself if more Schwarzeneggers, Whitmans, Waldens, Gordon Andersons, etc. get elected and otherwise conservative persons look for “hope” in the wrong place. You have given capitalism a definition which is not based on ideals, but on your observations of how it is being practiced in our present market. True capitalism is the practice of making available, some marketable commodity for value in return. Ideally in a free market, if a product, service etc. Has value, someone will pay for it, and the product will flourish unless something better, cheaper takes it's place. This is competition. To lie, or cheat, or use unscrupulous means to market a ware of little value, insults the integrity of the ideal of capitalism. Even though the phrase let the buyer beware has been around since Ancient Greece, The art of the snake oil salesman is capitalism without integrity, and is called hustling. I think your on the right general path but you have mildly distorted what Russell Kirk so aptly defined long ago before he was a Christian but just upheld basic common sense morality. If history has proven anything is that a belief in God or Christianity does not insure morality. It may interest you to know that some leading conservatives have supported socialist candidates over capitalists as the lesser of two evils. Read your history books. Thank you for your points delstar. However I think you are missing my points, as I am not saying that Christianity insures morality, only that if we were perfect and following 100% what Christ taught such as the parable of the Good Samaritan we could achieve a higher moral principle. IMHO, the Bible teaches this too, not a socialist Robin Hood mentality. Of course my views are not possible, which is why we need a Savior.